Is the Mate 20 Pro set to be the fastest phone on the planet? The Huawei Mate 20 Pro is about to be crowned the fastest Android smartphone on the planet, according to a leaked speed test shared on gsmarena. Huawei plans to use its all-new Kirin 980 chipset, which was unveiled at the IFA tradeshow, to power the Mate 20 Pro. During the announcement, Huawei pledged that its seven-nanometre processor would be faster than the A12 Bionic that fuels Apple's iPhone XS, iPhone XS Max, and upcoming iPhone XR. And if the latest leaked speed test is accurate, Huawei is dangerously close. Huawei Mate 20 Pro has surfaced on benchmark platform AnTuTu and clocked a seriously impressive score of 313,561. For comparison, most flagship Android phones powered by the top-of-the-line Snapdragon 845 clock around 290,000. Galaxy Note 9 scored 283,240 and the Huawei P20 Pro clocked 209,161 – an inidication of the upgrade in the latest Kirin silicon. Apple's A12 Bionic initially scored an AnTuTu benchmark of 309,188 – fractionally less than the purtported Kirin 980. However, AnTuTu continually revised the score in its ranking as more iPhone XS owners take the test. As a result, the handset now sits at 348,581 in the chart. If the leaked Mate 20 Pro score is accurate and doesn't change as more units take the official AnTuTu test in the coming weeks, it will be comfortably the most powerful Android handset on the market, but miss-out on snatching the overall title. However, it's possible the score will only improve – as happened with the A12 Bionic. For those who don't know, benchmark scores are designed to help users quickly compare performance between different devices on different platforms. Regardless, the specs and operating system, the higher the AnTuTu score – the better. Aside from the raw processing grunt, the headline feature of the Mate 20 Pro looks set to be the triple rear-mounted camera system, which is arranged into a square shape with the LED flash. Meanwhile, the Huawei Mate 20 Pro looks set to sport a small notch, which is widely-tipped to house a facial recognition system similar to Face ID on the iPhone XS and XS Max. 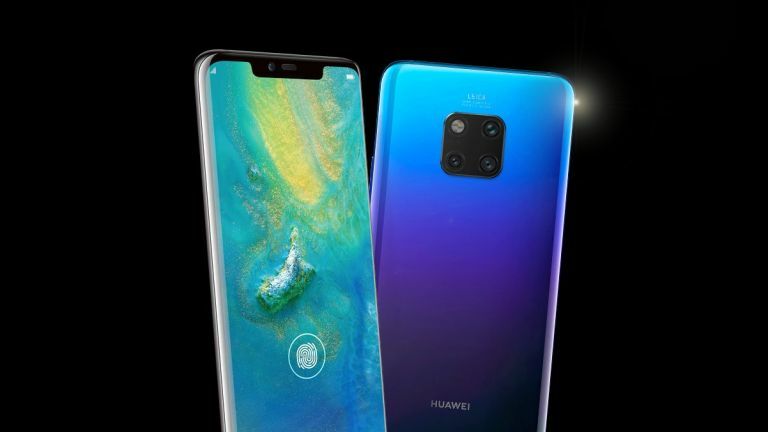 Meanwhile, the more affordable Huawei Mate 20 – which will not include any fancy facial scanning tech – is rumoured to favour a small teardrop-style notch. Huawei Mate 20 and Mate 20 Pro are schedueled to be announced during a keynote presentation on October 16, 2018.